Escape the hustle and bustle of your daily routine at our on-site oasis. Conveniently located on the first floor at the rear of Fairview Inn, descend down our antique staircase in your robe and slippers to the refined comfort of nomiSpa. From the moment you walk in, feel the relief from the stresses of your everyday living. Our oasis is one of the best spas in Jackson, MS, for our portfolio of indulgent services. We offer massages, manicures, pedicures, facials, reflexology, aromatherapy, hair removal, detoxification baths, and energy healing, all with your relaxation in mind. Come and unwind at the most relaxing spa in Jackson, Mississippi. 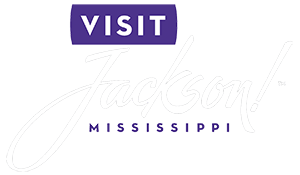 Out of the many spas in Jackson, MS, nomiSpa offers the idyllic service for you! Once you’ve completed your treatment, head back to your luxurious rooms and suites, each individually appointed with accurate furnishings, an abundance of the light, and the perfect place to unwind. We invite you to browse and reserve the ideal one for your couple’s retreat! Restoration, rejuvenation, and restoration await at nomiSpa. With a soothing atmosphere, a selection of treatments, and holistic healing, you’ll feel refreshed on your romantic getaway. Here’s what you can expect at our on-site oasis! In the effort to remove unwanted toxins from your body, we do not recommend consuming alcohol prior to a spa treatment. In addition, there is alcohol is not permitted in the spa, but after your session, we encourage you to order a cocktail from the Library Lounge. At the Spa, we solely focus on your holistic healing with the use of homeopathic skin care products and essential oils, which promote the ultimate restoration. Browse our services and choose the perfect one (or two) for your relaxation experience! A massage at nomiSpa will leave you feeling refreshed. Your knots and your tight muscles will disappear in an instant at the hands of one of our massage therapists. For the most wondrous experience, schedule one of our signature Swedish or Detoxification massages. If you have booked a variety of activities and excursions during your stay, schedule one of our 25-minute or 50-minute massages. But if you have the time to spare, allow us to pamper you for a full 80-minutes! What sets nomiSpa apart from other spas in Jackson, MS? Our therapists use Dr. Hauschka products to revitalize your skin. These upscale products promote natural healing with therapeutic qualities and infused extracts. Treat yourself to our Classic Treatment and experience our full-body, 120-minute exfoliation techniques with botanical oils and a nurturing touch. You will enjoy a delightful warm sage foot bath, foot and leg massage, and gentle stretching movements for the neck, arms, and hands, as well as soothing lavender aromatherapy. We want all of our guests to restore their natural energy. That’s why we offer an array of treatments for the mind and body. Soothe your soul with our calming Aromatherapy or Detoxification Bath. Our remarkable Raindrop Therapy Treatment is the ultimate form of indulgence. This experience includes nine essential oils, each dropped on your spine like soft raindrops and then massaged into your back. Treat your tired hands and feet to our exquisite manicures and pedicures. These services enhanced with the use of Dr. Hauschka products, which a therapist massages into your hands, legs, and feet. You owe it to yourself to indulge in these luxurious treatments! After you book your appointment, we recommend you arrive 15 minutes prior to your spa session. Arriving late will shorten your treatment, which lessens its effectiveness and your relaxing experience. All spa appointments require a credit card upon making the appointment. You have 24 hours prior to your scheduled session time to cancel, otherwise, your card will be charged the full amount of the treatment(s). All major credit cards, cash, and checks are accepted. Prices and services are subject to change. Packages require a 72-hour cancellation notice. For the benefit of your relaxation and our other guests, we ask that cellular devices be turned off prior to entering the spa. Any guest under the age of 18 receiving body treatment must be accompanied by an adult. 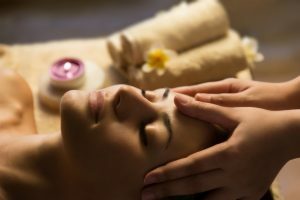 The spa staff members are trained, licensed professionals providing personalized therapies in a nurturing environment.